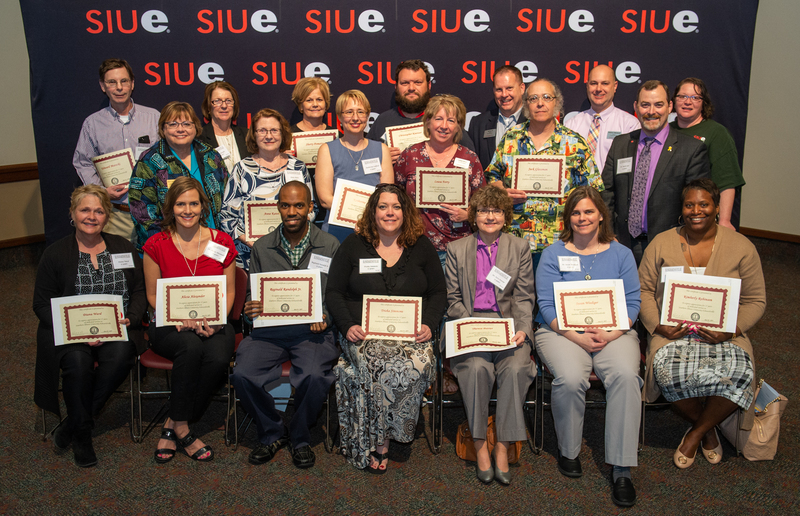 Southern Illinois University Edwardsville recognizes employees who have reached service milestones of 5, 10, 15, 20, 25, 30, 35, and 40+ years of service. All service award recipients are recognized with certificates based on milestone years. Congratulations to all employees who have reached service milestones this year! This year's employee service award ceremony will be held on Tuesday, April 16, 2019 in the Meridian Ballroom of the Morris University Center. Please click on each category below to view the information in a new window. Employees must work in the following positions; status civil service, administrative or professional staff, or faculty, for service years to be counted. An employee's Human Resource Banner record must be designated as "active status" and all years of "paid" employment will be included in any given year's service calculation. All "active status" full-time, part-time, continuing, and term contract employees with five or more years of service are eligible for a service award. 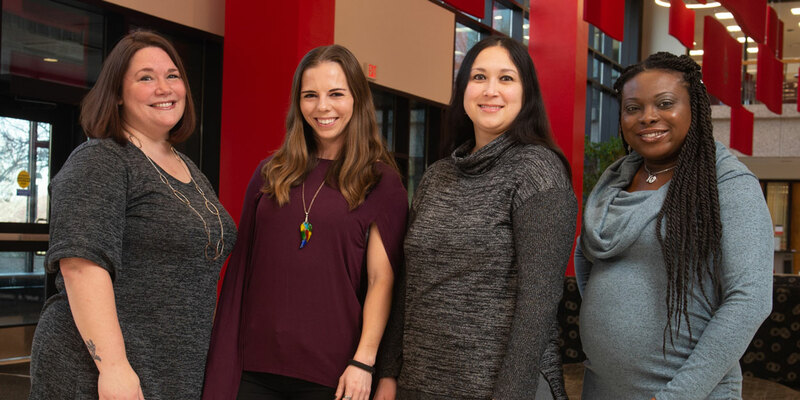 Determination of an employee's inclusion in a specific award year is based on total years of Southern Illinois University Edwardsville. Total years of service is defined as service that is either continuous or a combination of years due to a break in service. Service eligibility is computed using an academic year of August 1-July 31. Service earned at other state agencies/institutions is not included when calculating award eligibility. Service accumulated from a graduate assistantship, as a student worker, or as a civil service temporary employee is not included. Any employee who terminates prior to the service award ceremony date is not eligible to receive a service award. Current employees who previously retired from the University are not eligible to receive a service award. Contacts the appropriate Vice Chancellor and Dean or Director and provides a list of employees who will reach their service milestone for the current year. Requests a written statement from the Dean, Director, or Manager for each employee with 20+ years of service. Contacts each employee with 20+ years or service and coordinates a session with the University photographer to have their picture taken for inclusion in the ceremony presentation and to later display on the Human Resource website. Mails or emails an invitation to each honoree inviting them to the award ceremony. Extends a special invitation to the previous period March-Feb or whatever the previous months were depending on the service award date. Service award recipients with 10 and 15 years of service will be recognized individually and receive their certificate from the Chancellor. Photos will be taken in small groups after groups exit the stage during the ceremony. Service award recipients with 20 or more years of service will be presented with certificates by the Chancellor while their personal statement is read and their picture is displayed. Each recipient will also have his/her picture taken with the Chancellor on stage. Certificates for 5 years and those not attending for all other years are mailed to employee campus addresses. The Employee Service Awards webpage is updated with the current year's list of honorees and photographs. We never want to intentionally exclude anyone from getting acknowledged for the years of service an employee has provided to the University. Unfortunately, mistakes do happen. 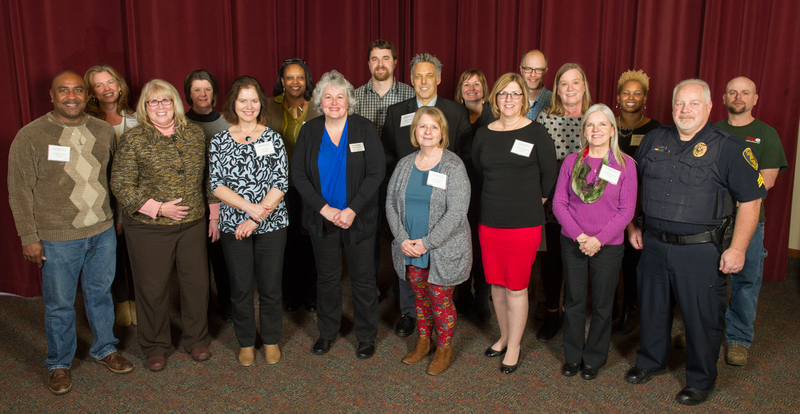 If you think you may have enough years of service to be included in this year's service awards but have not received an invitation, please contact us via email at benefitshr@siue.edu. Be sure to include your university Banner ID and hire date.